Dear colleagues, probably most of you are aware of the efforts of Prof. Nicholas Negroponte (founder of the Media Lab at the Massachusetts Institute of Technology) to give a chance to children in low-development countries. The Negroponte ideals are base on bridging the digital divide. After many years of effort his group has managed to create a Laptop at a cost of under $150, through a non-profit organization called OLPC (One Laptop per Child). 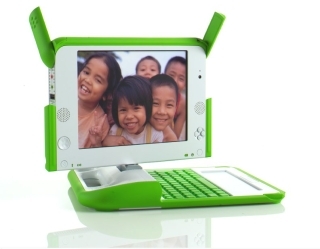 More information can be found on www.laptop.org The OLPC Laptop is a remarkable device, waterproof, built to last 5 years in difficult conditions, with a WiFi and mesh network connection, and with a manual system for power supply. One problem of this great project is to use this opportunity to provide useful and inspiring educational content to children in these poorest areas. Content can be available pre-loaded on the laptops when they arrive — and for their school servers, which will have more space and will serve as digital libraries for the schools. As a professional inside the museum sector, Iam sure that we can cooperate with this relevant project. Talking with those who care for content within the OLPC project, they asked for museums and associations to sign up to curate 100 core cultural areas and topics, with 100 ideas or works in each of these topics where that group has the most expertise. It would be useful for organizations to put together focused collections, aimed at children [and with minimal use of language], presenting the cultural heritage of every region of the world. It is also be interesting to know what topics museum curators from different countries think would be most interesting to children. I told OLPC that I am available to make more colleagues aware about this chance to cooperate, and that my blog (in cooperation with new OLPC blog) can act as a platform to work on this idea. 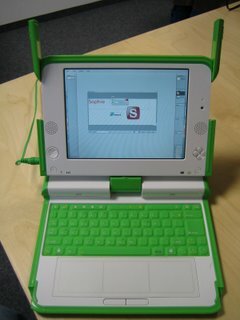 First of all, we need to better define guideline, for content delivery and fruition, in cooperation with OLPC. My proposal is to create a workgroup with colleagues to better define those guidelines (format, weight in term of memory of contents, copyright management etc). Next step will be to better understand who can, and want, provide content for OLPC on the basis of these guidelines.Please, if you are interested in participating in this Guidelines Workgroup, contact me on my private email mariobucolo@gmail.com and please contact me also if you can cooperate with specific content.